Office Table There are no products in this category. This comes as a set, that is, it includes the table, a side cabinet and a mobile pedestal. The cabinet and pedestal are separate from the table, and the kind that you get, in regard to color or size, is dependent on the table you ordered. The offers available with regards to size and color have a wide range and the price is also dependent on the size or dimensions of the table. 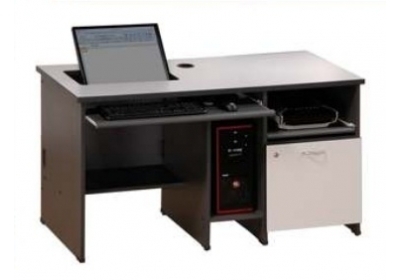 The side cabinet and mobile pedestal have a separate price from the table. As the name suggests, the table is L-shaped. It comes in varying sizes depending on what you want. Some come as two tables with an arc connection between them. The colors available also come in a wide range. Additionally, some come with a fixed 4D pedestal, while others come with a separate CPU Holder, whose price is different from the table. To sum it up, L-shape tables are available in different designs and dimensions, coupled with separate and attached pedestals. These come in different categories. Some come as just a table with not much attached to them, others come as a writing table with a side return, meeting end element, fixed pedestal, a keyboard tray and a high cabinet set. The price of each table varies on a dimensional basis and the same goes for the colors available. 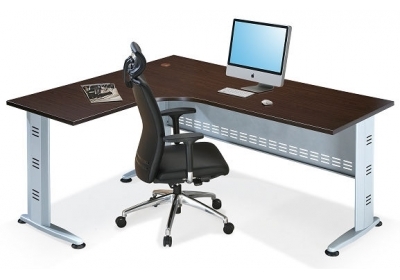 The material used in making the tables varies greatly but is reliable. 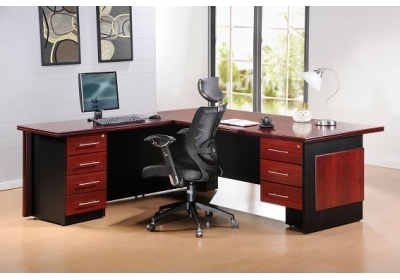 The designs available are sure to give the office a professional and sophisticated look. 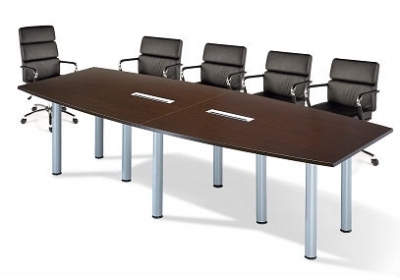 The meeting tables available at Shelton Office come in different sizes, shapes and designs. For instance, there are rectangular ones that whose length is favorable for meetings that have many people, others are circular or oval, and relatively small, to cater for two to three people. Additionally, some come as a combination of two half round tables and one rectangular table. The colors available are subject to your choice. 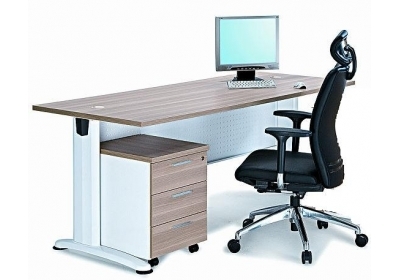 As such, Shelton office ensures that every kind of office tables named above is readily available to you.